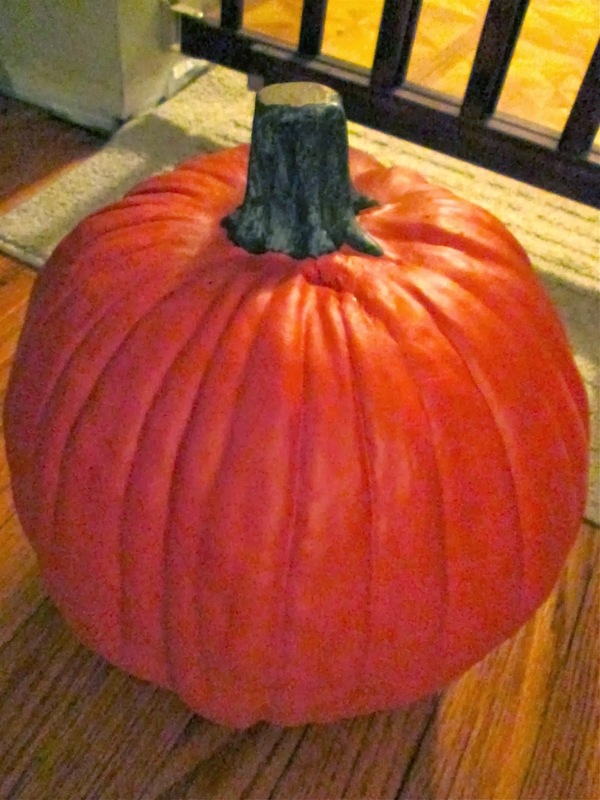 The pumpkin is fake, although it looks kinda real, huh? I ordered it from JoAnn's on sale. I decided to just do a simple "Welcome" for the porch. I got the template for the lettering from here. Then I just printed out the template found at the above link, and cut out the letters. 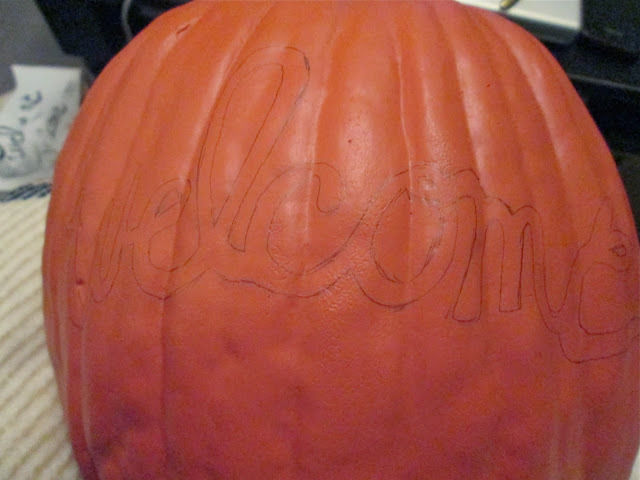 I then taped it onto the pumpkin where I wanted the word to be. Then I traced the word just like it was a stencil. And I painted inside the lines with some black acrylic paint. This is where the patience comes in. And voila, about two episodes of Full House later and I had my own "Welcome" pumpkin! P.S. I owe you updated Fall front porch photos. And I will have that ready for you soon. Promise. adorable! the lettering is perfect and i love it in the crate! I know, right? It's simple and timeless which I love.